Unfunny, uninspired and ultimately boring The Boss is easily one of the worst comedies of the year. The Boss tells the story of Melissa McCarthy’s multi-millionaire, CEO Michelle Darnell, who after a spot of insider trading finds herself on hard times and living on her beleaguered PA Claire’s (Kristen Bells) sofa. But don’t worry she’s got a plan to get back to the top and she’s taking us all with her, unfortunately. 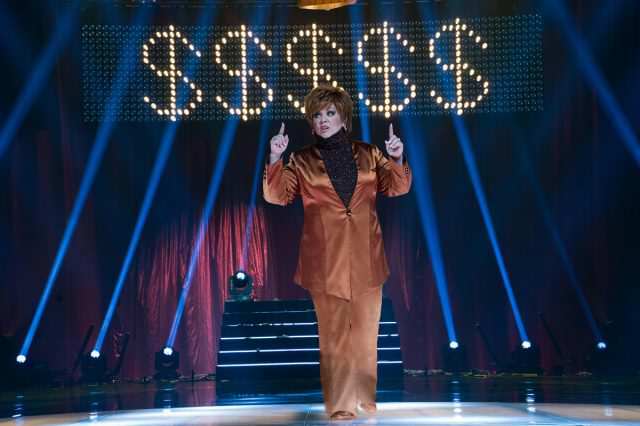 Melissa McCarthy’s a very talented comedienne who’s starred in a number of great comedies but this unfortunately isn’t one of them, and how much you enjoy The Boss is basically going to depend on how funny you find her ‘rude’ schtick. Personally I thought that the usually likeable and funny Melissa McCarthy was absolutely horrid as Darnell. She’s manipulative, selfish, irritating and in the words of one of the characters ‘hateful’. Therefore I had absolutely no sympathy for her and while this can work, for example Bill Murray in Scrooged, the writer and director Ben Falcone ended up making her a figure of contempt rather than fun. It’s shame because at times there’s definitely glimmers of a funny character but it’s obscured by the frankly poor writing, seriously the plot’s about as solid as a plate of jelly. Even worse the film makers try and give her a moving narrative arc which is so lazily executed and unearned that when the inevitable third act redemption happens I almost got up and left the screening. Compounding matters we’ve got the usual comedy cliches and tropes which’ll tease a smirk or the occasionally chuckle but don’t make up for the fact that this is a poor effort at best. As for the rest of the cast they try their best but they’ve not got much to work with, although Kristen Bells manages to be charming enough. Also Peter Dinklage must be one of the talented men in Hollywood, so why he spends his time slumming it in absolute toilet like this and Pixels I have no idea. To damn the film with the faintest of praise it does have one good thing going for it, it’s just over ninety minutes long, thank the lord. Had it gone on any longer I may have had to swallow my tongue to get away from it. Honestly I’d have had a better time trying to count the ceiling tiles than watching this.